Craftbuilt Kitchens is a family owned business that started in Underwood, Queensland. Craftbuilt is celebrating over 40 years of providing thousands of clients all over Brisbane with outstanding quality and service on each and every one of our projects. Craftbuilt’s team pride ourselves on providing our clients with a confidence that they will be looked after before, during, and after we have completed their installation. We are now located at Stones Corner and when you visit the Showroom you will be greeted by our Showroom Consultants, you will find our showroom staff very friendly and easy to approach. They hold a wealth of knowledge and are eager to share this with you. Justine has been Craftbuilt’s General Manager for over 10 years taking over the running of the business from her parents, Jan and John Clark, and obtaining her own Building Licence – Restricted to Kitchens and Bathrooms to support the company licence. Justine ensures she continues the family mantra of “quality is better than quantity”. Having a reputation for setting high expectations of customer service and professionalism amongst the Craftbuilt Team, Justine will not settle for unprofessional work or poor service. She is especially focused on building trust with our customers through clear and detailed communication. Establishing systems within the business ensures nothing falls through the cracks so Craftbuilt customers can feel confident and reassured with their investment. Also being one of the Design Team, Justine understand the individual approach required for each project. Always looking for snazzy ways to give your project a touch of class, she listens and gathers information and insight into each client’s needs and desires enabling a unique and individually custom designed project every time. Justine takes pride in seeing the Craftbuilt client base grow with yet another ecstatic client sending through their review to add to our brag book which is on display in our showroom. 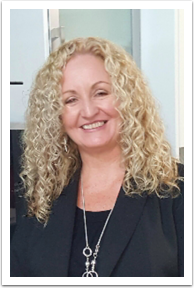 Sharon joined Craftbuilt Kitchens in 2012 bringing with her 30 years experience in the kitchen and home renovation industry along with her European influence towards new trends. Sharon is a member of the Craftbuilt Design Team. She has an uncanny ability to listen to and pick up on each client’s individuality and incorporate personal tastes into a custom design. Sharon has a passion and desire to ensure each project is carefully designed with the perfect blend of functionality and beauty. Knowing that aesthetically pleasing yet functional designs are paramount for the most important rooms of the house Sharon will ensure your new design matches your lifestyle and tastes. 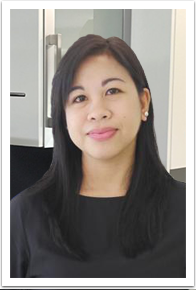 With Sharon’s outstanding ability for attention to detail and her 5 star customer service approach she also excels in her Project Management role for our kitchen and bathroom installations. Working closely with the installation team, Sharon has continued with the strong Craftbuilt ethos of commitment to perfection. Along with a proactive approach, Sharon ensures she manages the tasks that arise with aplomb. You can feel reassured that your new investment is viewed in its entirety to ensure smooth running right to completion. Sue has been Craftbuilt’s Senior Kitchen Designer for over ten years. Her passion for this industry has seen thousands of many happy clients who have realised their dream kitchen. Sue’s patience in walking clients through the myriad of options available to them, puts our client’s minds at ease because they know they are getting the best solution that works for them. Her attention to detail, and ability to work so closely with clients to develop personalised designs that not only look amazing but are highly functional ensure you will be achieving the best outcome for your space. 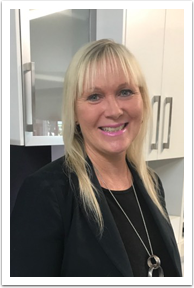 Sue backs up her many years of experience with a CERT IV in Kitchen & Bathroom Design, and ensures she is up to date with the latest of trends and design solutions in this ever changing industry. Being so approachable and having a wealth of knowledge in the industry allows our customers to feel they can talk through alternate solutions and feel totally at ease during the design process. Sue looks forward to working a great design around your wishlist for your brand new kitchen. Deb is the company’s Accounts Manager. Trustworthy and diligently she handles all of the incomings and outgoings for the business and has a passion for balancing the books! Deb has been with Craftbuilt since 2011 returning to the workforce after having a family of her own. 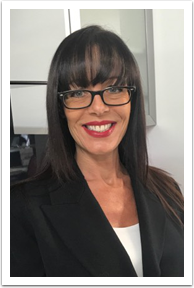 Having spent most of her life working with children and/or in the hospitality industry, Debbie has a naturally gentle and personable approach and is available to discuss any of your account enquiries. 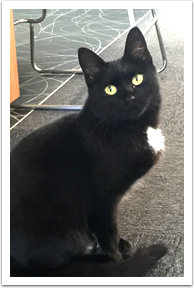 Debbie enjoys the camaraderie of the ladies she works with, and loves a chat with you when she answers the phone. She especially enjoys hearing the excitement from our client as their projects come to life! With a friendly and helpful approach, Belinda is one of the first people you may meet when contacting Craftbuilt. She greatly enjoys assisting people looking for kitchen renovation ideas. Belinda draws on her skills learned from previously working in the social services field, where differing personalities were aplenty amongst children and young families. Her love for learning and experience in training and education, bodes with her belief that given the right information, people can make decisions that will enhance their enjoyment of the renovation process. When it comes to design choices and finishes, she likes helping people to reflect on their personal style, drawing out their personality, whilst considering the balance of practical needs of the person and/or family using the space together with the type of home. 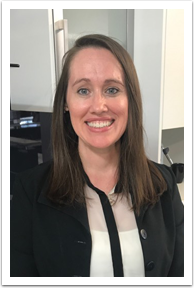 Belinda has attended ongoing training in both Brisbane and at the Kleenmaid Headquarters in Sydney to ensure she is up-to-date on the latest Kleenmaid has to offer in their ‘New Generation’ appliances. Belinda can assist you on the best appliance options for your brand new Craftbuilt kitchen. You will find Belinda in the showroom generally at the end of the week as well as some Saturdays. She looks forward to helping you on your path to a dream kitchen. Paul joined the Craftbuilt Team of tradesmen over 4 years ago as a qualified plasterer looking after our customers in this respect. Due to Paul’s keen, can do attitude, he has drawn on the experiences gained by working within the construction industry for the last 29 years. 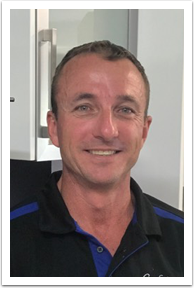 Paul is the go to man for all non-structural jobs often required in the renovation process, he can assist with painting, non-structural building work, external ducting of rangehoods, kitchen removal and delivery of your new cabinetry to your home. Due to Paul’s increased number of tasks within the renovation process, he has become our eyes and ears for Craftbuilt taking on a quality control role over and above his contracted duties. He has an uncanny ability to forward think with regards to the following trades and has proved a valuable asset to Craftbuilt and our Team. Paul is always professional and makes sure every job is completed to your satisfaction. Our clients are often commenting on the fantastic nature that Paul demonstrates on site. He seems to have a calming nature which relaxes everyone around him. Paul often obtains future work from our clients in other areas of their home due to his can do, accommodating and professional attitude. 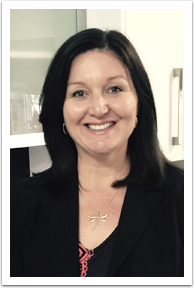 Janine has a degree in Marketing Management and currently assisting Craftbuilt Kitchens with marketing and general administration. Hi, my name is “Crakit”. I am a very much loved member of the Craftbuilt Team. I was fortunate to come to the attention of staff when I was homeless and underweight, but thanks to the love and care of everyone, I have been able to get used to ‘showroom life’. I will be found mostly on my chair – please look closely as I will blend in. I am keen for anything food related and I love a gentle approach, ie not too fast, so that I may let you pat me! I also like to oversee any trades work in the showroom to ensure it is to Craftbuilt’s standards!